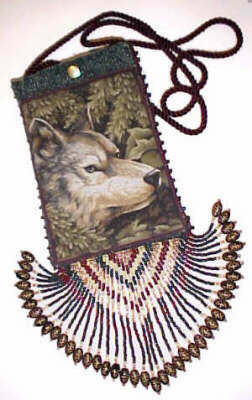 Beaded Handbag Patterns and Kits! You can now make your own Wonderful Beaded Purse Bags!! Here are some pictures of a similar completed bag! Fully prepared 5 by 7 inch satin-lined cloth bag with a 48 inch satin strap and a snap to keep it closed. The bag is suitable for use as it is. All you need to do is add the beads. 4 different colors of seed beads. We ship standard US Mail. Please allow up to one week for us to process your order.